I cancelled my Birchbox subscription after I received last months box. Every month my Birchbox pales in comparison to my Blush Mystery Beauty Box - so it was time to cancel. I don't miss it AT ALL. 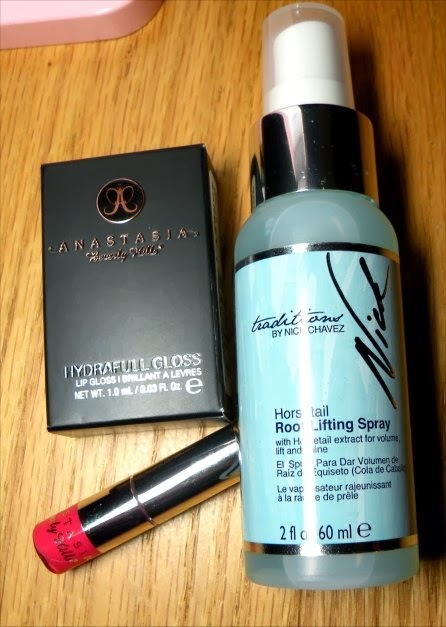 This months Blush Mystery Beauty Box was curated by "celebrity makeup artist" Lauren Feist. I'm going to be 100% honest here and say that I looked through Lauren's portfolio and don't recognize a single one of the "celebrities" that she's worked on - but that's a non-issue for me, as she picked some great products. Cargo High Pigment Pencil in 02 Brown (FULL SIZE) - I LOVE Cargo eyeliner and was bummed that this pencil was brown. Cargo pencils are creamy and amazing and have great staying power. Fortunately I have a coworker who stopped at my desk to chat today and we started talking makeup - she mentioned that she needed a new brown liner - so this has a new home! Elizabeth Arden Beautiful Color Maximum Volume Mascara in 01 Black (FULL SIZE) - Have I mentioned how much I enjoy receiving full sized items in Beauty Boxes? I haven't tried this mascara yet, as I like to use one up before I open a new one, but it gets some great reviews. It gets a perfect 5 star rating on MakeupAlley with 100% of people recommending it. 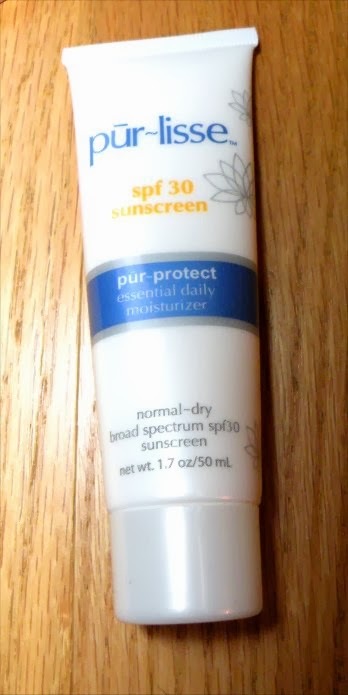 Pur-Lisse Pur-Protect SPF 30 Essential Daily Moisturizer (FULL SIZE). I'm not as great at applying sunscreen as I could be, so in the summer months I appreciate it when a sunscreen does double duty as a moisturizer. The expiration date on this is July of 2015 - so I'll be saving it for the spring/summer. Anastasia Beverly Hills Mini Hydrafull Gloss in Sorbet. This is a teeny, tiny little sample, which is unfortunate because I LOVE THIS GLOSS! It has a very light, barely there fragrance, isn't sticky at all, lasts a long time, and instead of being applied with a wand has a tiny spatula for an applicator. The full size gloss is $19.00 for not much more product, so the price is definitely steep, but it's totally worth it. Nick Chavez Horsetail Root Lifting Spray (travel size). I probably style my hair three times a month, and I'm not very good at it, so I'll admit, I had no idea how to use this. I googled it and fortunately found a video on QVC.com (video link here). What I gathered from the video is that Nick Chavez resembles either Sigfried or Roy (I don't know who is who) and that this is pretty much just hairspray. He sprays it in a models dry hair, and shoots the area with a blow dryer. I can't even be bothered to blow dry my hair when it is wet - I am DEFINITELY not going to spend time blow drying my already dry hair. 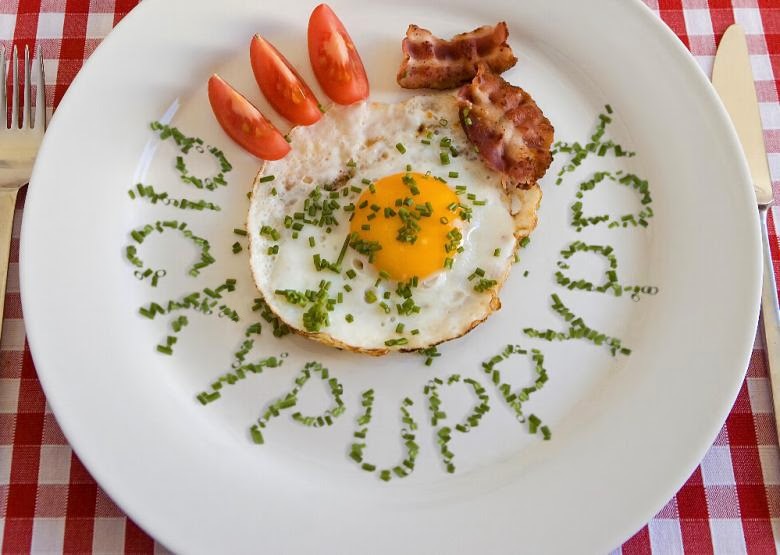 The reviews are all either extremely positive, or awful, there's no middle ground. I'll give it a try, once. But unless this is some magical elixir that makes my hair look awesome (which I've already resigned to being impossible) I'll probably end up passing this on to someone who can wield a blow dryer and styles their hair regularly. SmartFX SmartLash Eyelash Enhancer (FULL SIZE). THIS is something that I need desperately, but have been way too cheap to buy. 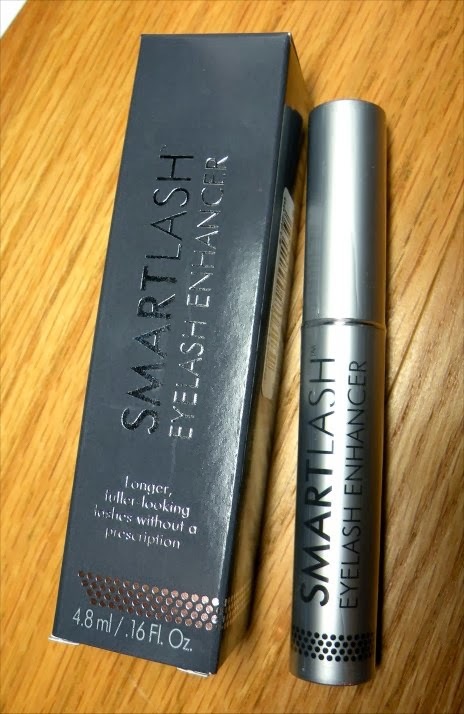 I have green eyes, so I'm not a candidate for Latisse (as it causes irreversible darkening of the iris to brown - no thanks) so I am stoked that SmartLash was in this months box - it does not have a side effect of darkening your iris! My hair is naturally blond, and as a result my eyelashes are completely translucent without mascara on, and because blond hair is thinner than pigmented hair, my eyelashes are sparse and can use more length and fullness. I hope to be able to give this product a big thumbs up once I've used the entire tube. 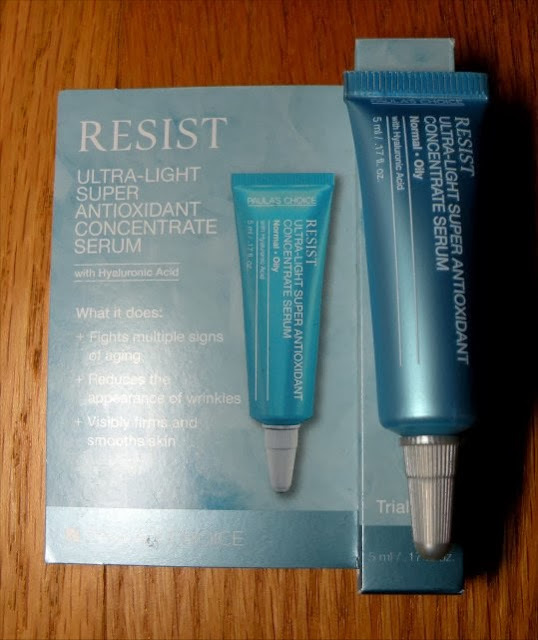 Paula's Choice Resist Ultra-Light Super Antioxidant Concentrate Serum. Reduces the appearance of wrinkles AND visibly smooths skin? I haven't even tried this yet and I'm already sold. 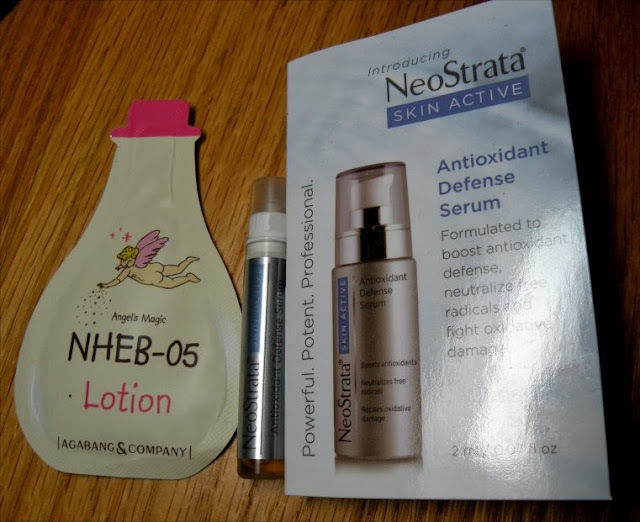 NeoStrata Skin Active Antioxidant Defense Serum. I can't find any reviews for this online. It says it's an antioxidant rich serum designed to combat premature aging. I'll definitely give it a whirl. f you're thinking about signing up for the Blush Beauty Box but are still on the fence and would like a $10.00 coupon off of a subscription box (boxes are $35 for a one time order, or $24 with a recurring subscription - you can cancel at any time) - shoot me an email at kathryna at gmail.com and I'll send you a coupon code. This month's box contained a value of $242.23 - so it was worth TEN TIMES what I paid for it! Already looking forward to the contents of next months box.